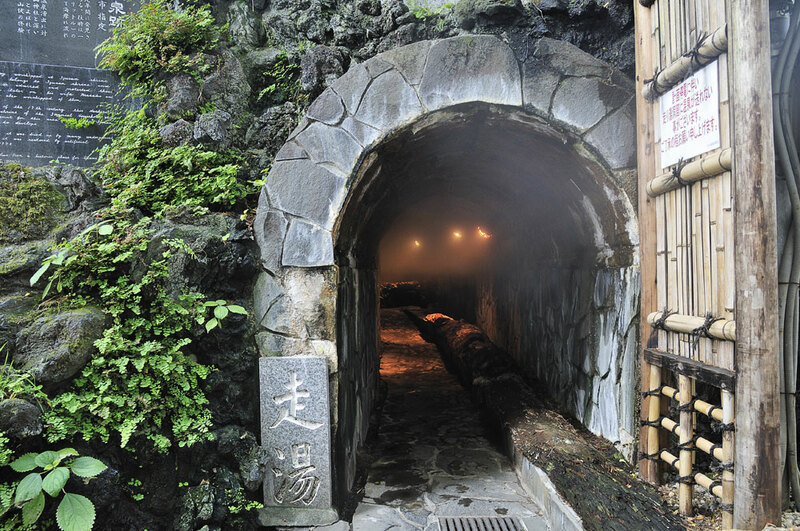 This tunnel type thermal spring is a rare type of hot spring in Japan. It was discovered about 1300 years ago, and was named hashiriyu (Running hot spring) due to its water spouting into the seaside from the mountain. A total of 837 steps upwards from Hashiriyu takes you to the Izu san Shrine.